Festivals are the perfect excuse to travel and explore a new place. We discovered lovely Westport in County Mayo, Ireland last year during the Westport Festival of Music and Food. We decided to come back again this year for what promised to be a toe-tapping good time at the annual Westport Folk and Bluegrass Festival. The festival was founded by Uri Kohen nine years ago. Originally hailing from Israel, Kohen now calls Westport home and legions of bluegrass fans from around Europe have him to thank for an amazing weekend of music. 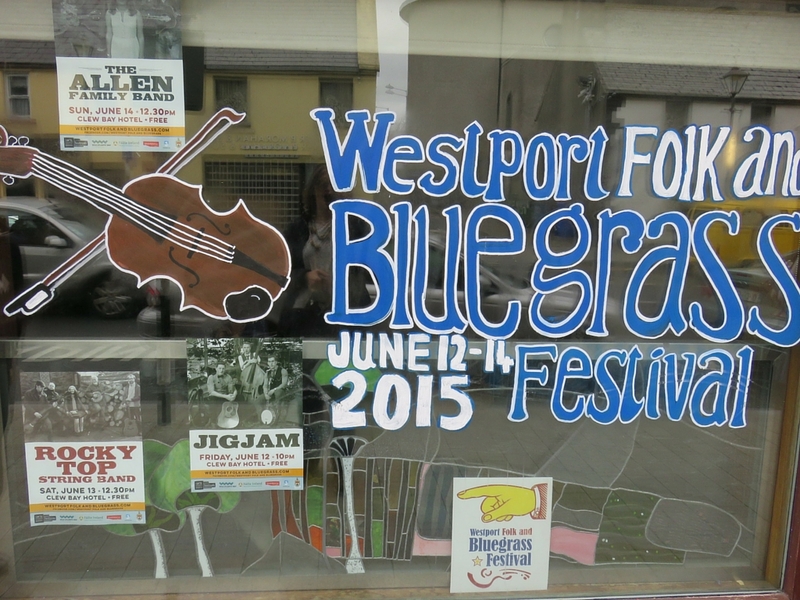 Here are our top 10 reasons to visit Westport during the annual Folk and Bluegrass Festival. My favorite memory from our trip to Westport was stumbling upon an impromptu bluegrass music session. 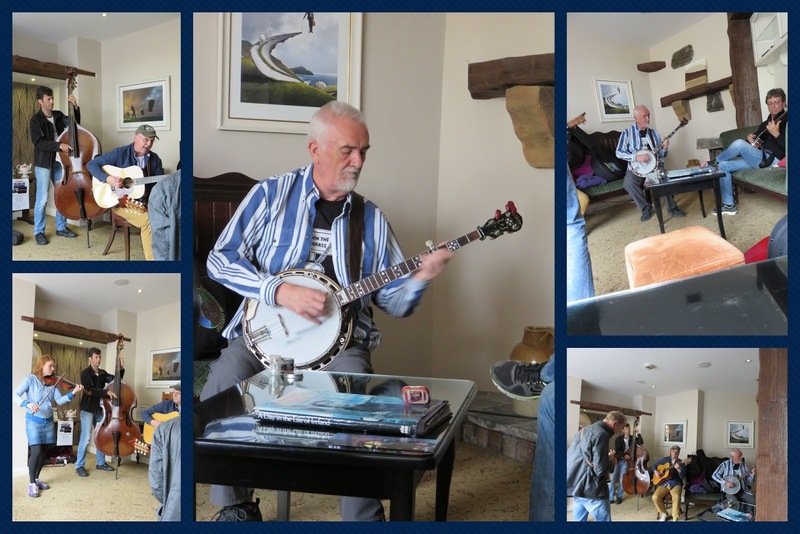 We were walking through the Clew Bay Hotel when we heard faint strains of a banjo originating in the front parlour. We stuck our head in and saw two banjo players and a guitarist sitting down to play. Our timing was perfect as someone was just getting up from a couch in the corner and we were able to come in, sit down, and make ourselves comfortable to see what the musicians had in store. Much like the Trad music sessions in Irish pubs, this one was totally unplanned with the musicians coming together for the first time to experiment and build on each other taking turns leading songs. Soon more musicians joined in and we had banjos, mandolin, fiddle, bass, guitar, and a vocalist creating amazing music. I felt lucky to be a spectator on this momentous occasion. It turns out that many of the musicians were playing proper gigs at the festival: Mala and Fyrmoon (a popular Swiss trio), Richard Hawkins (editor of the Bluegrass Ireland Blog), and Danilo Cartia (a well-known Italian bluegrass musicians). They were joined by a Trad and bluegrass musician from Dublin, Cathal Cusack (hat tip to Richard Hawkins for identifying him for me in the comments below). The result of this combination was magical. 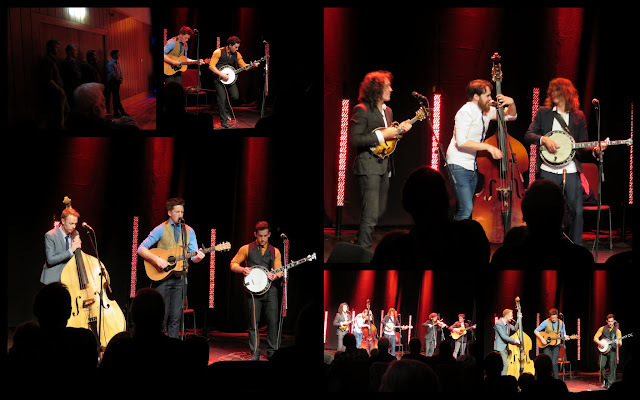 The Westport Town Hall was recently reborn as a theatre and the headliners from the Folk and Bluegrass festival inaugurated the venue. The New Breadwinners, JigJam, and the Flats and Sharps mesmerized the audience with fast-paced and often quirky beats. 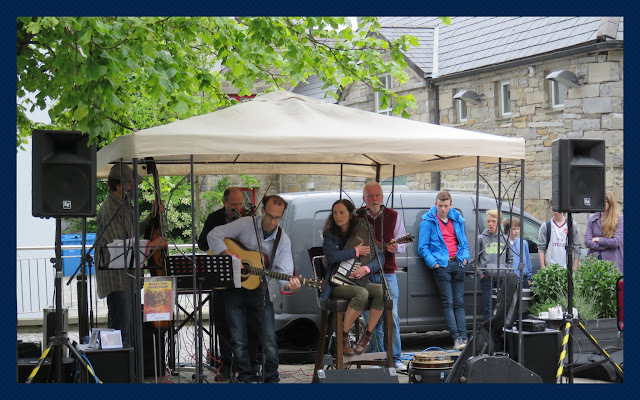 The festival takes place in June each year which offers the opportunity to catch a gig outside. We watched the Rockytop String Band take the stage. Alas, we did have to dash between a few raindrops but for the most part the weather was mild and fair. 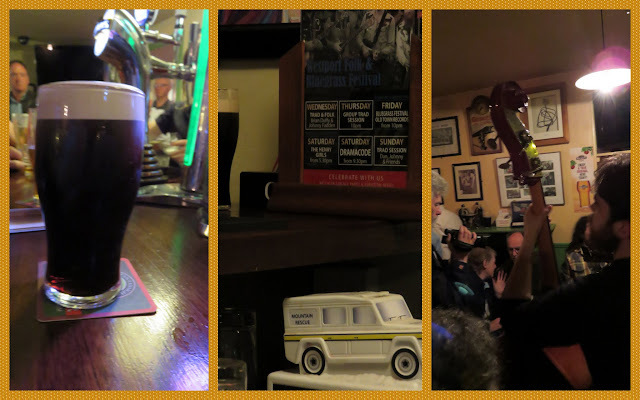 We also took the opportunity to grab a pint of Guinness and watch some masterful finger pickin' in the pubs. When visiting a destination for a festival, it's also a great idea to take some time to explore between gigs. Here are some tangential things I recommend checking out if you're in town for the Westport Folk and Bluegrass Festival. Before heading to a late-night gig, pause for a moment to revel in a West of Ireland sunset. 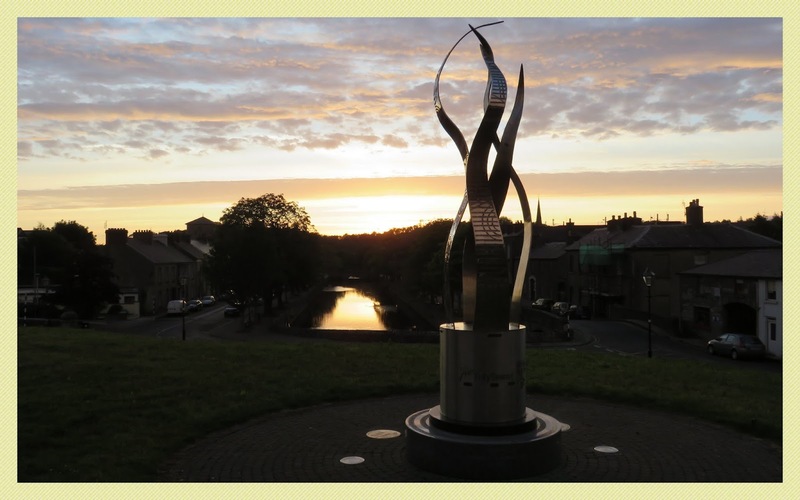 In June, the sun stays up until 11 pm or later. 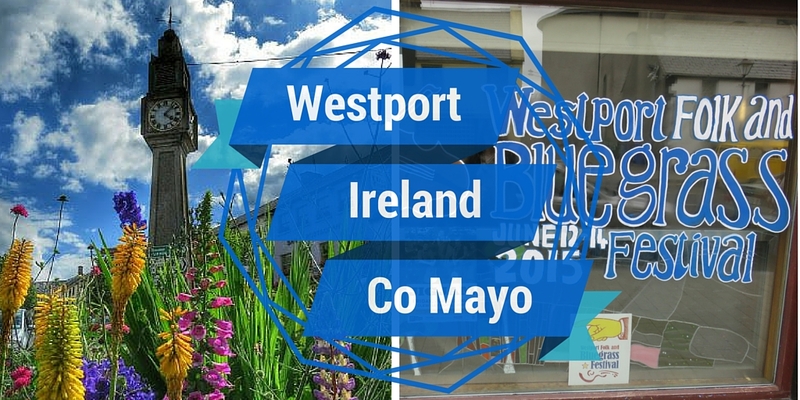 The Westport Quay is about a 20 minute walk from the center of town on the Great Western Greenway. The trail runs all the way from Westport Quay to Achill Island on an old railway line and is a lovely, relaxing walk. 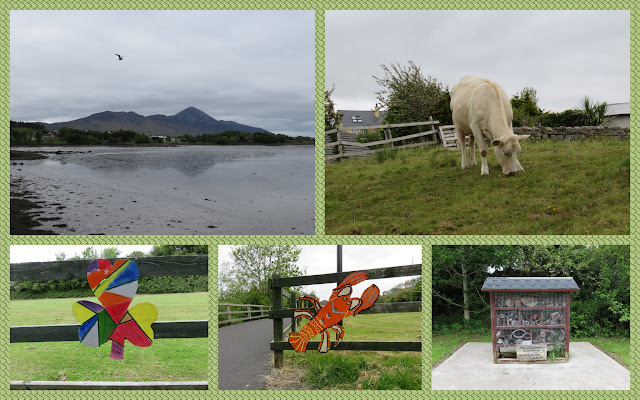 You can also consider cycling the 40 km from Achill Island to Westport like we did. 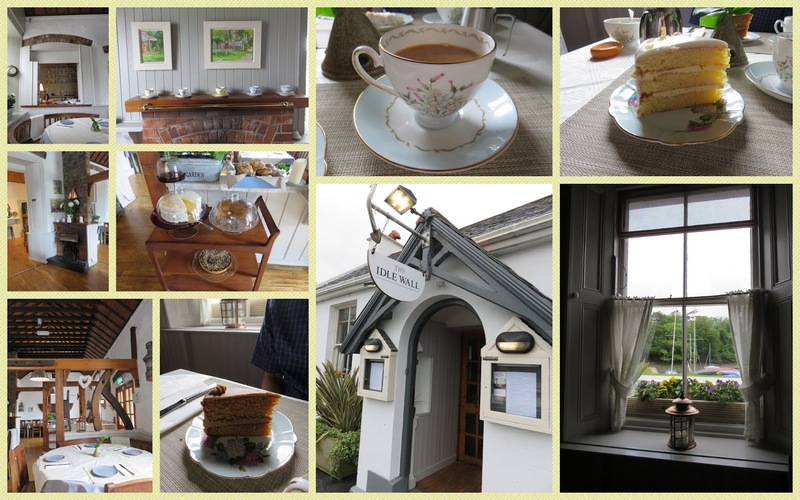 We rewarded that bit of exercise on the Great Western Greenway with tea and cake at the charming Idle Wall on Westport Quay. Idle Wall is a very popular dinner destination but we practically had the place to ourselves in late morning. 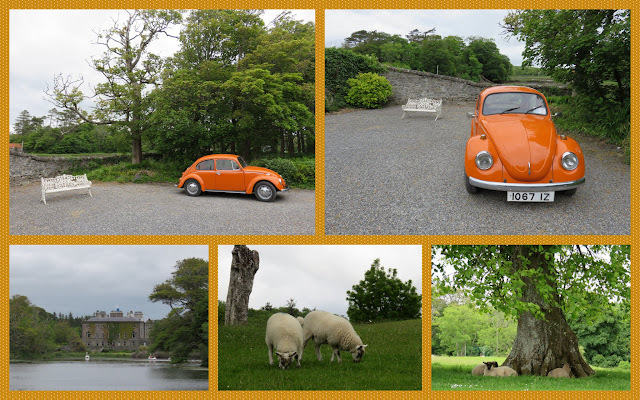 The grounds of Westport House are worth a detour to get back from the Westport Quay to town. Note though that unless you are willing to pay the admission fee (5 EUR at the time of writing) for Westport House, you can't pass entirely through the grounds and will have to backtrack. There is no warning sign at the Quay-side entrance so consider this a public service announcement. We were able to exit on the north side of the grounds and detour around the property adding about 15 minutes to our walk. On the bright side, this extra effort definitely burned off some of the calories we ate! Mangos in the center of Westport is a charming seafood restaurant. 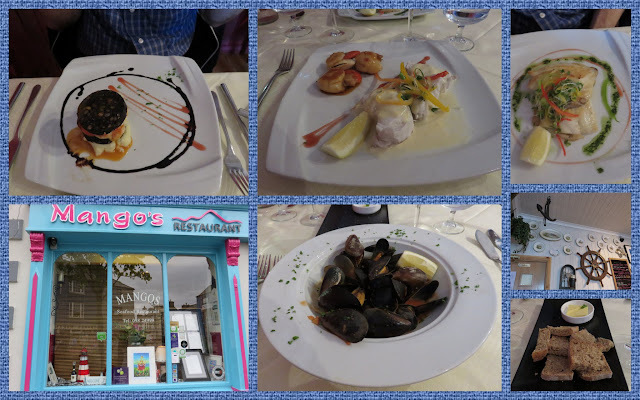 We enjoyed modern Irish cuisine including a black pudding stack starter, Clew Bay scallops, fresh mussels, and delicately filleted cod. The food was great and the location is super-central making it easy to go before or after a gig. 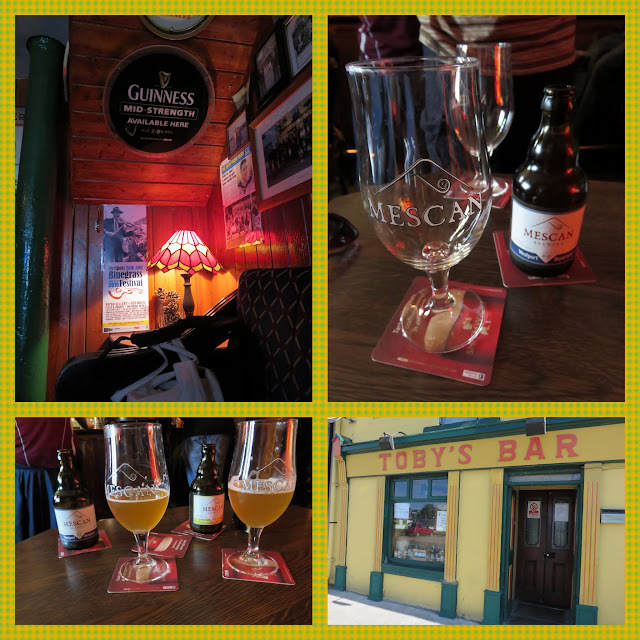 Toby's Bar was located between the Bed and Breakfast we were staying at and the center of Westport. With a bright yellow and green facade, it definitely attracted attention. Not being able to see in through the windows though made it feel unassuming at the same time. After the festival, on our way back to the station to catch our train to Dublin we looked in the window more closely and noticed that Toby's stocked Mescan, a local craft beer. We downed a sneaky glass of beer to toast an amazing toe-tapping good weekend. I love how a good festival helps you discover unexpected places. Explore things to do in Westport, County Mayo, Ireland during the annual Westport Folk and Bluegrass Festival. 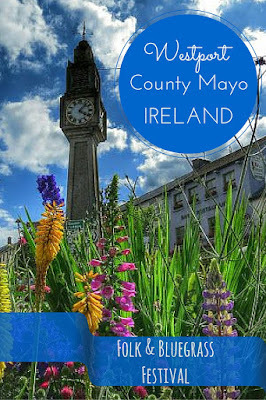 Written by Dublin-based travel blogger, Jennifer (aka Dr. J) of Sidewalk Safari.